On the recording, there’s a heavy thunk, then the sound of objects scattering. I had just asked my interviewee to describe the tools she used to write, and like many of the folks I’d talked to before her, she started by talking to me about which tools she used to plan, then pulled out what she carried around with her to help illustrate her process. After describing how she uses Excel sheets to create a “consolidated syllabus” and Google Calendar on her phone to track classes, doctors’ appointments, and her fiance’s schedule, Kristen described how she used a paper planner to make sense of it all. “So then this comes out, and I’ll only do a week at a time, because otherwise there’s way too much.” She flipped open the planner to show me. 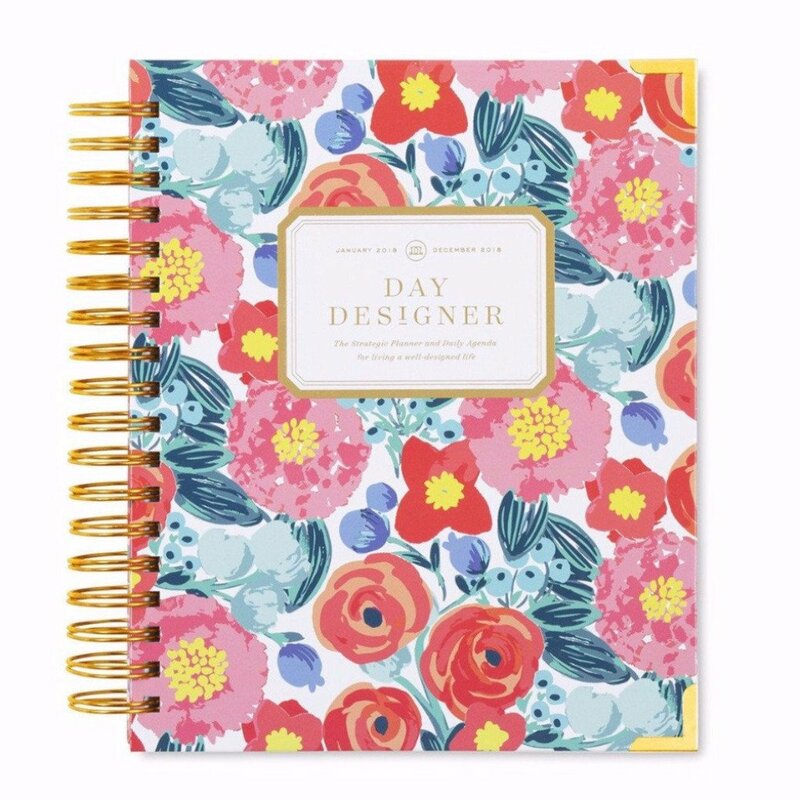 It was a Day Designer with a floral patterned cover which she had arranged as if out of habit with her case of Staedtler pens at the ready. For a while now, I’ve been exploring how disabled students experience academic writing, asking them questions about their writing process, their interactions with professors, and how their bodies and minds (or bodyminds, a term Margaret Price develops from scholars in trauma studies to understand how our “mental and physical processes not only affect each other but also give rise to each other”) affect their writing process. In the interviews I’ve held for my dissertation project, one essential theme that emerged was how students experienced time in academic contexts. For Kristen and for many of the students who used planners, I noticed that managing the bodymind in time required developing an aestheticized, feminine, and arguably feminist relationship with planning materials to work with a disabled bodymind in an academic space. Crip time is flex time not just expanded but exploded; it requires reimagining our notions of what can and should happen in time, or recognizing how expectations of ‘how long things take’ are based on very particular minds and bodies… Rather than bend disabled bodies and minds to meet the clock, crip time bends the clock to meet disabled bodies and minds. The Day Designer, for Kristen, was a way for her to move in crip time, to bend time around what her bodymind needed—and to take pleasure in this bending. What was most striking to me about this moment in our interview was that the aesthetic of Kristen’s planner ran counter to the one I saw on the surface of our interactions in the interview. Floral, full of color, meticulously organized, reflective of her past experiences as well as her future plans—it was a beautiful, femme technology that helped her access academic life. Similar to Cydney Alexis’s recent research about how Moleskine notebooks function as material objects that cement identity as a writer, Kristen’s lovely planner and detailed reflective system represented materially the hard work she had to do to access identifying as a student. My own experience with planners and planning have lead me to a planning style that has blended my incessant (and increasingly online) journaling with attempts to shore up my poor executive functioning. I feel like I’ve made and remade a planning system more times that I care to admit in graduate school; I admire Kristen’s confident, stalwart, and attractive planning method that helps her build a space for herself in an institution wary on multiple levels about her presence. But for me, planning has been less about building a space for myself brick by brick and more about just trying to hold on for the ride. As a person with depression and other sundry mental health issues, I’m just not very good at deadlines. Like many of my participants, for me they are not boundaries, but barriers. It’s not that I can’t meet deadlines—I can, and do, on a regular basis. It’s more that if I can’t negotiate them, I shut down. I’ve felt the consequences of this more times than I care to admit; I’ve lost article co-writing, conference presentation, and other professional opportunities because of deadline-induced shut down. Now that I’ve learned to ask for extensions, it’s gotten better (I asked for one for this blog post). But even with that leeway, I have to keep track of all these deadlines and renegotiations on top of all my other activities if I’m going to keep my head above water. In March 2017, I asked on Facebook for my peers and mentors to share their planning systems. I’d been bullet journaling (the distillation of the aestheticization of planning; see Buzzfeed’s WTF is a Bullet Journal?) but making a layout every day had led to a series of unhelpful, ever-growing to-do lists. I’d also been using the Eishenhower Matrix (which I read about, groaning, on The Art of Manliness) with little success. On this thread, eight people recommended that I get a Passion Planner—including a member of my dissertation committee, which I took as a fairly strong endorsement. Passion Planner is the one place for all your thoughts. 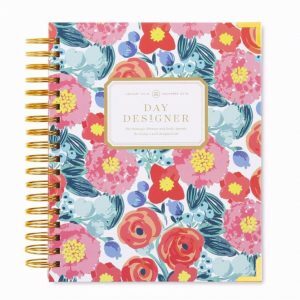 It’s more than just a planner—it’s a tool that helps you break down your short and long-term goals and incorporate them into your daily life. It has been designed to encourage you to plan for the future, reflect on the past, but most importantly, act on the present. Think of it as a 24/7 life coach that fits in your backpack—always ready to challenge you to focus on what is most important, accept your thoughts and ideas without judgment, and prompt you to reflect on your everyday life. 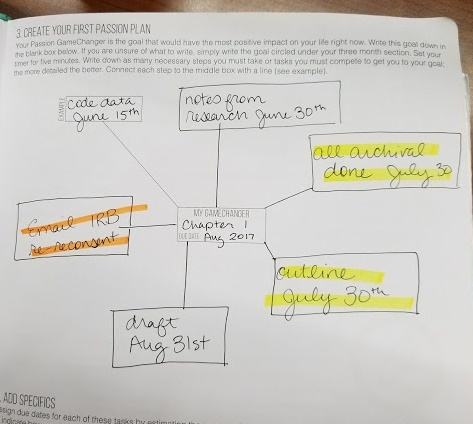 My first “Passion Plan” was about getting my act together around a dissertation chapter. 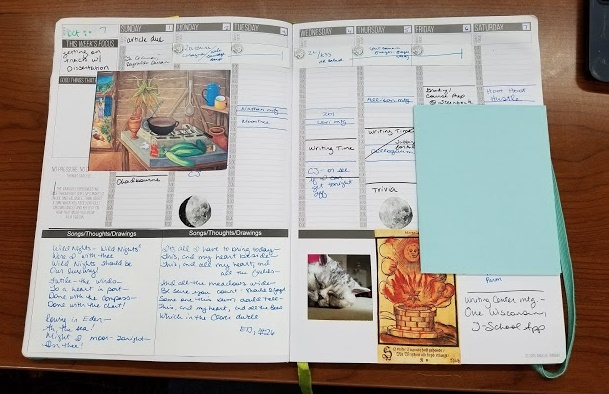 I mapped out different tasks (some of which were jettisoned later), gave them dates, and then penciled them in their corresponding spots in the planner. 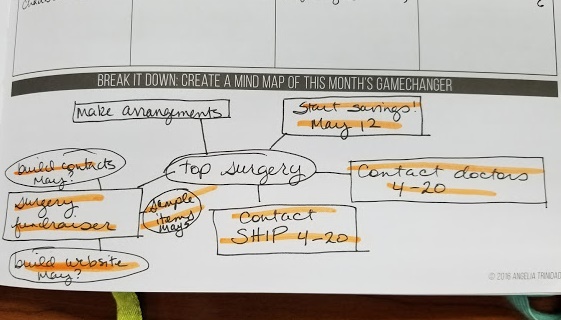 But around April, a month into Passion Planning, I planned out a wholly different task for my month’s “gamechanger” — starting the process of top surgery. I had never really put top surgery on my calendar before. It had been a vague to-do for down the road that I held off for a variety of reasons. Maybe it was the unseasonably hot April that previewed another summer of awkwardly clothing myself. Maybe it was just time—many trans folks just reach a day where they can’t go any longer without moving forward with their transitions. Transitioning is a long process that seemingly never ends; access to trans surgery means having money and a robust enough support network to pay for the surgery and provide aftercare. Most trans people have to struggle to scrape together the money and resources to get one of possibly many gender confirming surgeries. But there’s definitely a moment where it’s just time, and for some reason the Passion Planner brought me to that moment. If Kristen’s planning system allowed her to put her academic schedule into crip time, giving her a more granular control of her schedule while embracing the unpredictable nature of disability, my planning system gave me a tool to clarify my own transition timeline. In our own ways, we used our aesthetic renderings of time to mark these moments and make space for ourselves. For us individually, these technologies let us access timelines that pushed against institutional timing meant to limit access—and as such, limit the potentials of our bodyminds in those institutions. These planners let us, on an individual level, find and make space for ourselves. But they don’t necessarily break down the system that creates the problem in the first place; planners, like all technologies, are products of the social systems that require and create them. Planners are a technology deeply tied to labor and time management under capitalism; in the context of academic life, they are reminders and remainders of how our bodyminds interact with the structures of capitalism embedded in intellectual life. As I considered this, I wondered if there was a way to plan that went beyond creating individual space within these structures. Were there planners that, say, helped you orient yourself outside of the system? Perhaps there were planners that aided a kind of queer futurity, attempting to bring about the “not yet here” of queerness (Muñoz)? I started thinking about the Slingshot Organizer, which I used in college after finding one at the oldest feminist bookstore in the United States. The Slingshot Organizer is meant for organizing, or at least a performance of organizing. It orients you towards the history of organizing while you plan your present and future. It also builds in the aesthetic elements of what we might tentatively call feminist planning—a hand-drawn, scrapbook-style visual design that blurs the boundaries of planner and journal. But then I remembered why I stopped using the Slingshot—the “large” Slingshot is about the size of a small notepad, and I literally couldn’t fit all of my responsibilities into the small daily boxes. For me at least, I needed a way to account for each half hour of my day, to write and reflect, and to think through how I would move through the institutional time of academic teaching and writing. We’re left with this tension and maybe a new way to think about the rise of the aesthetics of planning. Planners, especially the new systems of planners that seek to build reflective writing and femme/feminist aesthetics and crafting practices into planning, can help people write themselves into institutions where they are not welcome, or perhaps write towards a queer future. At the same time, planners can’t, as tools alone, dismantle that system from within. Thinking about the call for this blog carnival, I’d love to hear your answers to these questions in the comments. How can these new material cultures of planning produce (intersectional) feminist action? How do planning technologies help us perform and produce our identities and politics? 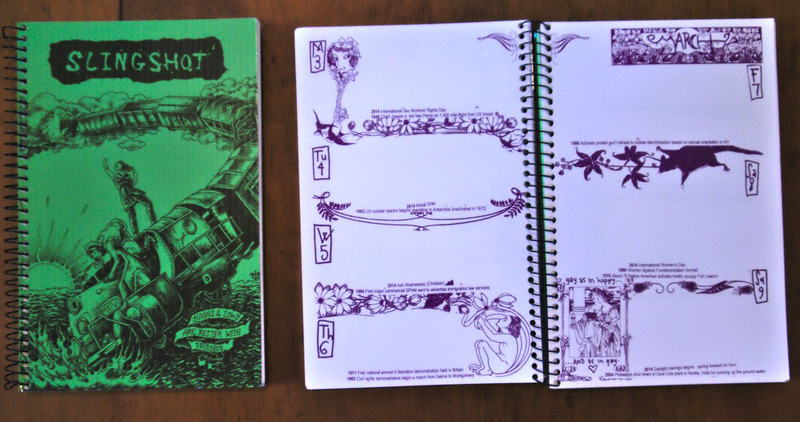 What could feminist, cripped planning (and feminist, cripped planners) look like? Kafer, Alison. Feminist, Queer, Crip. Indiana University Press, 2013. Muñoz, José Esteban. Cruising Utopia: The Then and There of Queer Futurity. NYU Press, 2009. Price, Margaret. “The Bodymind Problem and the Possibilities of Pain.” Hypatia, vol. 30, no. 1, Feb. 2015, pp. 268–84, doi:10.1111/hypa.12127.